It can come as a surprise to learn that a credit check may be required for a job that you have applied for. This may seem a little intrusive and over the top in terms of necessity but it’s becoming more and more common and there’s also a good reason behind it. Pre-employment credit checks are a pre-emptive strike on behalf of the employer to see how much of a fraud or theft risk you potentially are. This is obviously especially important if you are working in the financial sector but it’s now also common in the healthcare and engineering sector too. Of course, it is not always the case that people with bad financing will commit fraud – after all, someone with no debts at all is equally capable of doing the same thing. The point of the assessment is to identify the potential risk before it becomes an actual risk. It’s similar to credit checks for a mortgage which you may have had before. Can Bad Credit Affect Employment? If you are applying for a new job, the question ‘Can bad credit affect my employment chances?’ may not have even crossed your mind. The answer to this question is a definite ‘Maybe.’ These checks are not carried out by law; employers perform them at their own discretion. You have to authorise one being performed on you before they can go ahead with it, but the ironic thing is that not agreeing to one may go against you just as much as having one and the report reading badly. It also depends on which sector you are seeking employment in. If you are looking for employment in the financial sector for instance where you are strongly linked with money, then checking someone’s score is an almost foregone conclusion. If your report shows you may be a potential liability due to the amount of debt that you have then that could jeopardise your employment chances. If you have ever tried to get a mobile phone contract, you will probably have been subject to a phone credit check beforehand. The process is much the same for a job application. An employment credit check in the UK will be conducted if the employer deems it a necessary precaution. It is up to you whether you are happy with this or not, but if the thought of an employer looking into your financial history bothers you it may not be a good idea to apply for that position. The results of a credit check for a job must be kept confidential for legal reasons, so whether you get the job or not your financial data with remain private. The check that they will perform will only use information that is legally available to the general public, but they must not disclose the details of it to anyone or risk breaking the Data Protection Act. If you are concerned about your finance history affecting your chances of applying for a job then you should take a look at your report to see if there’s anything you can do to help improve your credit score. You should obtain a report from each of these providers, however. Each one has its own scoring system and financial institutions do not use them all as a rule, so the results from each agency could be very different. Once you have the reports you can see if any of the information is out of date or just plain wrong. If it is you must contact the relevant reporting agency and get it removed as soon as possible. Something as simple as a spelling mistake could mean that someone else’s bad credit has inadvertently ended up on your score and could scupper your chances of getting the job that you want. Pre-Employment Credit Check – What are they looking for? If a company does carry out a pre-employment credit check, what are they looking for? They are looking to see how you have conducted your finances and to see whether the results of the check means that you pose a potential risk to them. It’s a good idea to have a look at your own report first so you know your own history. There are several online services which offer this, check out our Check My File review to learn more about this particular service. You can see it from their point of view; someone who may be struggling severely with debt and is applying for a job in a bank handling cash all day could be seen as a potential problem. The check is also to see the potential for stealing personal data from computer systems and to see how organised you are with your own affairs before giving you the responsibility of being in charge of someone else’s. 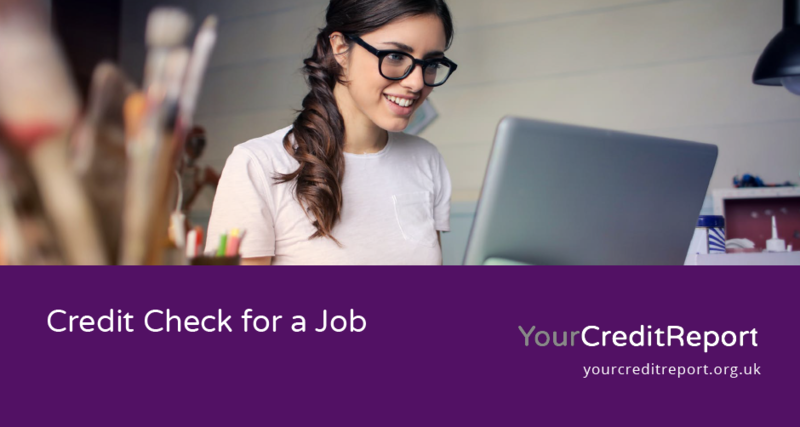 A pre-employment check is not an in-depth credit search. They are only allowed to search the public registers for evidence of your financial history, but they will also look at the Electoral Roll Register to confirm your name and address matches what you have given them on your application. This may sound odd, but it is a classic fraud trick to give a false name and address. What do they look for in a background check for a job? Each one of these serious breaches of financial trust means that you have to have your details logged on a public register as part of the restructuring program. Your potential employers have access to this data and could use it to determine whether they consider you a risk or not. Can Employers look at your Credit Report? Can employers look at your credit report? In a word, no, they can’t. That information is covered by the Data Protection Act and is off-limits to anyone without your expressed permission. However, they CAN see a stripped back version of the report that shows your payment record, the amount you owe, and your available credits. It does not disclose the finer details or any personal data such as your actual score, your marital status, or your account numbers. If you have ever tried to rent a property, the landlord may have carried out a similar check to see if you meet the credit score for renting in the UK. Generally speaking, a pre-employment credit check will only consist of information that is available to the public. This may still be enough to rule you out of the running if what they find is deemed a possible risk that they don’t have to take. What is considered a good Credit Score for employment? A credit check for a job may have been something of an unusual event at one time, but the fact of the matter is more people than ever are struggling with their finances and are having to resort to serious forms of financial restructuring to fix them. Now, some 25% of HR teams use a form of checking to vet their potential employees. So, what is considered a good credit score for employment? The employer will not see your actual score as they are not allowed to by law; they will only see if your repayment requirements have been met on time and in full. They are only looking for potential liabilities, so in that sense, it is just like performing a criminal background check. If a job offer is rescinded after a credit check then you should consider yourself unfortunate. Surveys show that the vast majority of employers are not too concerned with the results of a credit check for a job, even if the application process requires it. To get turned down for a job because of your finances usually means that the role requires you to have access to extremely sensitive personal or financial data. If your financial history is not the best then the perceived security issue will prevent you from getting the position. The employers are not breaking the equality laws by doing this, they are just being sensible. If you are worried about this, you can see a report for yourself on your repayment history before applying for jobs. This will give you an idea of any improvements you could make to your finances. See our Scores Matter review page for more information on a service which offers this. If your finances have been in better shape then it may be bothering you, ‘Can you get a job with bad credit?’ The overwhelming answer to this is yes. The vast majority of employers don’t bother with these checks and even those that do say that it wouldn’t usually go against a candidate if they had a poor financial history. The only situations where a credit check for a job does seem to matter a lot is where security and financial stability are a top priority. It’s always worth checking your own history if you are worried.